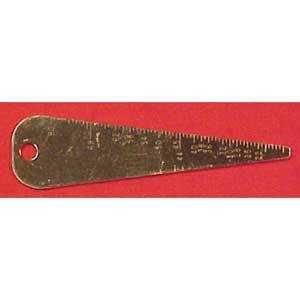 A copy of an old original, this bore guage is stamped in durable weight brass. One side calibrates up to .80 cal. ; the other side calibrates metric sizes and the shotgun bore up to 10 ga. Very handy at gun shows, on the range, etc.